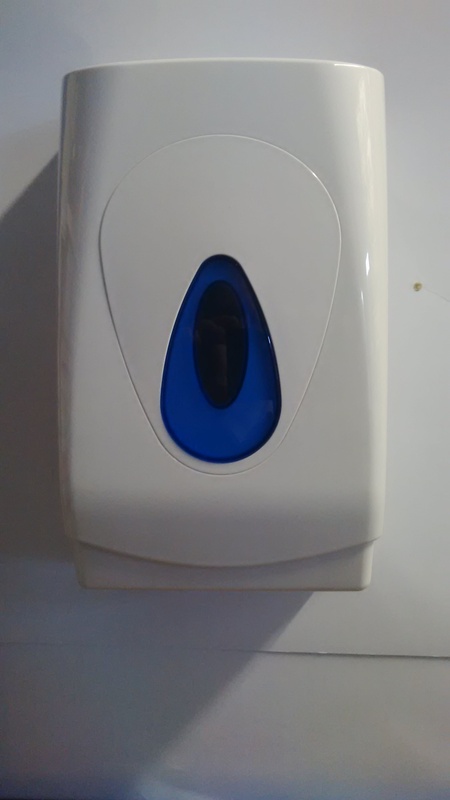 Bulk pack interleaved, multi-flat packed toilet tissue dispenser, for commercial use. Accepts toilet tissue up to 125mm in width. Easy to maintain ABS plastic cover automatically locks when closed, keys included. Capacity 230mm stack. Wall fixings supplied.